With the Nintendo Switch now officially Nintendo’s fastest-selling console ever, analysts are already speculating about a new variation of the machine. According to a Bloomberg report, Citigroup Inc. believes a smaller Switch that’s closer to Nintendo’s DS and 3DS will arrive during the company’s next fiscal year (April 2018 – March 2019). The current hybrid Switch console lets players enjoy games on the move and through a home TV via the dock, but it is a larger, heavier, and more power-hungry device than the 3DS. 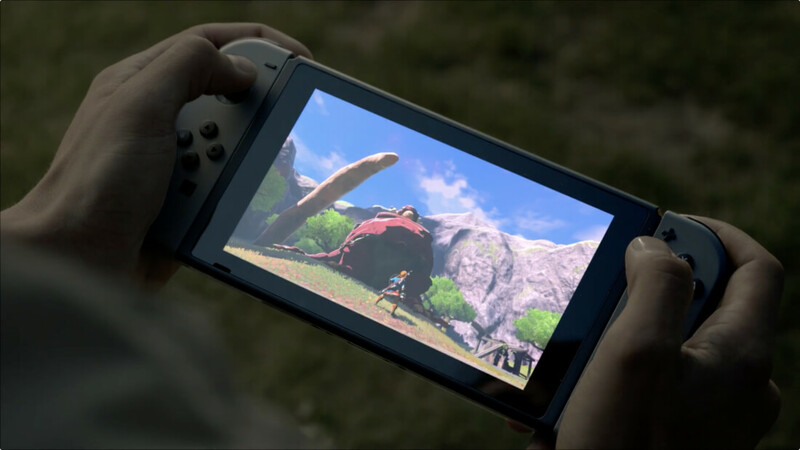 "Although the Nintendo Switch can be used as a handheld device, we think smaller children could struggle to use it comfortably in that format due to its size and weight," Citigroup analysts said last week. "Accordingly, we think Nintendo will launch a lighter, dedicated handheld version of the Switch, possibly to be called the Switch Mini." Making the Switch Mini a smaller, handheld-only device would result in a much lower selling price than the current Switch. Although analysts didn’t say how much it might cost, they believe the smaller machine could sell 6.7 million units in the 12 months through March 2019. By which time the current Switch is expected to have shifted 25.7 million units. Last month, GameStop’s senior director of merchandising, Eric Bright, predicted that the Switch would eventually surpass the 100 million+ selling Wii. SuperData forecasts that the Switch will sell 7.2 million units this year alone. It may take some time for it to match the fifth best-selling console of all time, but it looks set to overtake the Wii U, which only sold 14 million units, quite soon.